Bauxite is widely applicated in both metal field and nonmetal field.As we all know, aluminum is the world's second most important metal after steel. As the aluminum is of small proportion, good thermal conductivity, easy mechanical processing and many other good properties, bauxite mining has been widely used in national economic departments. Bauxite mine is the best material for producing aluminum which is also the most important application areas for bauxite, The amount accounts for more than 90% of the world's bauxite mining. In the nonmetal field, bauxite is mainly used as refractories, abrasives, chemicals and the raw materials for high alumina cemen. 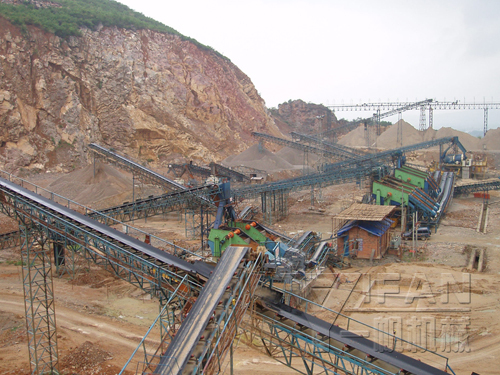 Although the amount of bauxite in the proportion of non-metallic area is small, there is a wide range of uses. Bauxite mine is just indispensable in these areas. It is usually strip mined (surface mining) because it is almost always found near the surface of the terrain, with little or no overburden. Approximately 95% of the world’s bauxite production is processed first into alumina, and then into aluminium by electrolysis. This ore are typically classified according to their intended commercial application: metallurgical, abrasive, cement, chemical, and refractory. 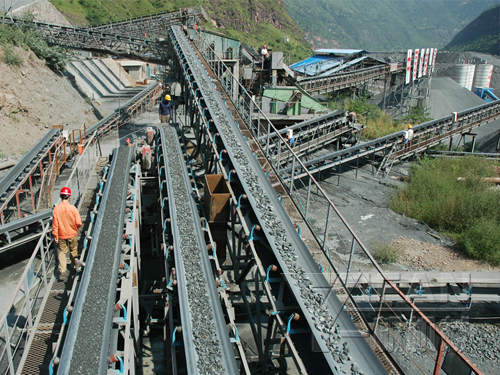 Jaw crusher can get to the crushing ratio of 4-6 and also the form of final product is even. They may be widely placed on crush high hardness, mid hardness and soft rocks and ores such as slags, construction materials, marble, etc. The pressure resistance strength is under 200Mpa, suitable for primary crush.Jaw crusher can be utilized in mining, metallurgical industry, construction, road and railway building, conversancy, chemistry, etc. Cone crusher is widely applied in metallurgical, construction, road building, chemical and phosphatic industry. Cone crusher works for hard and mid-hard rocks and ores, such as iron ores, copper ores, limestone, quartz, granite, gritstone, etc. Impact crusher is widely applied in mining, transportation, energy, construction and chemical industry. They’re ideal selection for crushing and screening. This impact crusher features reasonable structure, high productivity, easy operation and maintenance and safe performance. One of the most outstanding good thing about this machine is that its finished powder is in good, cubic shape and without tensility and cranny. The vibrating screen is a form of sieving equipment of international advanced level, produced by our company on such basis as carrying on the features of traditional screens and absorbing the outstanding technology from abroad. It really is popular for grading and screening materials in the following fields: minerals, quarry, building materials, water conservancy and hydropower, transportation, chemical industry, smelting and so forth. YIFAN is a manufacturer of crushers , and supplies bauxite crushers, washing machine and better service for bauxite beneficiation plant. YIFAN has manufactured large amount of mining equipments to global countries, such as jaw crusher series, impact crusher series, cone crusher series and mobile crusher series, etc. YIFAN mining equipments have been exported to more than 130 countries which are widely applied in mining industry including the bauxite crushing. For decades, YIFAN has always continued to innovate in the development, production, sales, and service sectors. Rich experience and high-tech applications help our products maximize customers’ satisfaction.